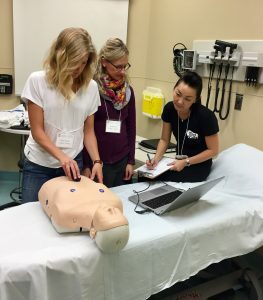 Located in Central Canada, the Department of Emergency Medicine at the University Manitoba is at the forefront of point-of-care ultrasound (POCUS) training methodology. 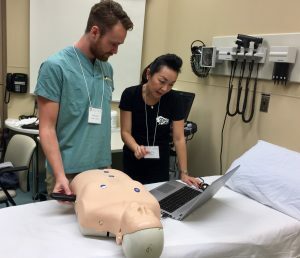 Within the department, Dr. Chau Pham, DEM Ultrasound Director at the University of Manitoba, coordinates a horizontal-longitudinal training program for POCUS and professional development. The program primarily trains emergency medicine residents completing the Royal College Fellowship and the College of Family Physicians of Canada (CFPC) Emergency Medicine Program. One particular way the program prepares practitioners is with core and advanced training in ultrasound applications. The program provides POCUS training through didactic presentations and bi-weekly three-hour ultrasound practice scanning sessions. Additional self-directed asynchronous study rounds out the learning experience, enabling trainees to fully integrate POCUS into their daily practice. Independent Practitioner certification is obtained by successfully passing the national Canadian Point-of-Care Ultrasound Society examinations. 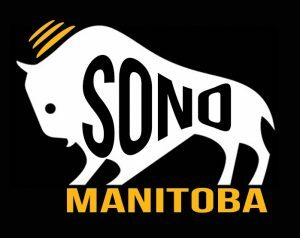 The SonoSim® Ultrasound Training Solution was integrated into the University of Manitoba Emergency Medicine Program in 2012 with the intention of implementing the flipped-classroom learning model. Students obtain background knowledge by reviewing SonoSim® Modules prior to their lecture-based lessons. Modules are also utilized for refresher training and make-up coursework when students are on post-call or on electives. Additionally, post-module quizzes and certificates of completion are completed and submitted to help monitor course progress and ensure comprehension. In the University of Manitoba Clinical Learning and Simulation Facility, SonoSim LiveScan® is used to embed pathology into medical manikins; as a result, the POCUS simulations are realistic and allow learners to directly apply knowledge from course material. A comprehensive bank of SonoSim LiveScan® Cases allows trainees to gain hands-on experience by scanning a variety of pathologies in real time instead of viewing videos or static images, or being limited to real pathology present only at the moment. Students report their experience with SonoSim LiveScan® has generally been positive and that because of it, they are better prepared to obtain and interpret images in a clinical setting. This multi-level understanding of concepts “really allows [students] to demonstrate their knowledge translation and combine both image interpretation and clinical integration,” says Dr. Pham. With this model, the learner-to-instructor ratio is always 2:1, and the simulation immersion allows students to practice both their diagnostic skills and patient management. Upon completion of the program, Royal College emergency medicine residents tend to work in academic institutions and CFPC-EM residents will tend to work in community emergency departments, respectively. Both of these tracts benefit from comprehensive knowledge of POCUS. Looking ahead, Dr. Pham hopes to see these programs scale to support larger training groups and greater integration of SonoSim LiveScan® applications. The POCUS training programs, with the help of SonoSim technology, ultimately allow trainees to provide better care for their patients and improve the quality of health care in all disciplines.